Recently I reviewed the improved offer on the Citi® / AAdvantage® Executive World Elite™ MasterCard®, which now offers 60,000 bonus American Airlines after spending $5,000 in the first three months. The Citi® / AAdvantage® Executive World Elite™ MasterCard® offers American Airlines lounge access, but comes with a $450 fee. 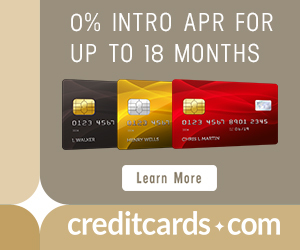 In these two features, it is reminiscent of the Citi Prestige® Card. The Citi Prestige® Card‘s sign-up offer recently changed. It now comes with 40,000 bonus ThankYou Points after $4,000 in purchases made with your card in the first 3 months the account is open, $250 in airfare or airline fee credits per calendar year, access to the Priority Pass lounges, the fourth night free on paid hotel stays, 3x points per dollar on air travel and hotels, and a $450 annual fee. See my review. The Citi® / AAdvantage® Executive World Elite™ MasterCard® earns American Airlines miles, which I value at 1.5 cents each. The Citi Prestige® Card earns ThankYou Points, which I value at 1.9 cents each. But the two currencies are very different. American Airlines miles can be used for American Airlines and oneworld flights according to the American Airlines award chart. Award space is not available on all flights, so miles are not great for people without flexibility. Business and First Class awards often cost less than double an economy award, so miles are fantastic for people who want to fly premium cabins. Check out this series on redeeming American Airlines miles. This flexibility to book awards on any alliance exceeds the number of flights you can book with American Airlines miles, but overall those 12 partners probably just equal American’s program, which is better than any of the 12. For even more flexibility, though, ThankYou Points earned on the Prestige offer you 1.33 cents toward any flight. If you want to use the points for paid tickets, ThankYou Points are better. If you are only interested in flights to South America, Europe, and Hawaii, ThankYou Points are better. If you want to go to Asia, American Airlines miles are better. Multiply the miles by your value of the miles to figure out which card has the more valuable sign up bonus. The bonus miles on the Citi® / AAdvantage® Executive World Elite™ MasterCard® are worth $900 after spending $5,000 to me. The bonus points on the Citi Prestige® Card are worth $760 after spending $4,000 to me. The AAdvantage Executive offers a higher absolute value, but the Prestige offers a slightly higher rebate percentage on the minimum spending requirement (very slight, 19% versus 18%). Read this post to learn about comparing sign-up bonuses between by absolute values or rebate percentages. Big spenders should care more about absolute value. Small spenders should care more about rebate percentage. After hitting the minimum spending requirement on the Citi® / AAdvantage® Executive World Elite™ MasterCard®, it doesn’t offer an attractive proposition to continue spending on the card. Even its 2x category bonus on American Airlines purchases isn’t as good as putting the same purchase on a Prestige for 3x. The Citi Prestige® Card aims to be more than just a sign up bonus. It aims to be a card you actually use day-to-day, and I think it succeeds. All the benefits of the Citi Prestige® Card are primarily valuable to travelers, so I will assume the average reader spends quite a bit on air travel and hotels, which rack up ThankYou Points at a rate of 3x per dollar. Restaurants and entertainment–common costs while traveling and at home–earn 2x per dollar. I know a lot of people, for simplicity, only want to carry one card. The Citi® / AAdvantage® Executive World Elite™ MasterCard® can’t be your one card because the earning rate is so low. The Citi Prestige® Card could be that card if you want a card with good earning and great benefits as long as you can get good value out of ThankYou Points. To figure out the extra value of the Citi Prestige® Card‘s category bonuses, multiply your dining and entertainment by your valuation of ThankYou Point as if it were a percentage and your air travel and hotel expenses by double your valuation of a ThankYou point. For instance, I spend about $7k on dining and entertainment and $3k on airfare and hotels per year. I value ThankYou points at 1.9 cents. That’s $247 of extra value per year from having the Citi Prestige® Card‘s category bonuses versus the Citi® / AAdvantage® Executive World Elite™ MasterCard®. I imagine many people spend quite a bit more than me in those categories. For them, the Citi Prestige® Card would be even more valuable. With the Citi® / AAdvantage® Executive World Elite™ MasterCard®, you have Admirals Club membership, which means you can access an Admirals Club even if you’re flying United that day. The Prestige offers Priority Pass Select membership, which gets me into an airport lounge at nearly every airport I use worldwide. Which card has the edge on lounge access depends on which lounges you find nicer and where you travel, but in general you will have more options in more places with the lounge access granted by the Citi Prestige® Card. There are over 900 Priority Pass lounges and only around 90 lounges that the Citi® / AAdvantage® Executive World Elite™ MasterCard® gives you access to. There is one exception though. Adding an authorized user for Priority Pass lounges to the Prestige costs $50. By contrast, you can add ten authorized users to the Citi® / AAdvantage® Executive World Elite™ MasterCard® for free, and they all get American Airlines lounge access (no matter what airline they fly) for themselves plus two guests. The Citi Prestige® Card is the clear winner in the statement credit game. The Citi Prestige® Card allows you to get statement credits to offset flights, fees, and award taxes, basically any charge from any airline, so everyone should easily max out $250 per year. This is a calendar year benefit, so you get the $250 twice in the first year of cardmembership, once in the calendar year you apply and once early in the next calendar year before your annual fee is due. The Citi Prestige® Card offers the 4th night free on hotel stays booked through its travel provider and three free rounds of golf per calendar year. The Citi® / AAdvantage® Executive World Elite™ MasterCard® earns 10,000 American Airlines status miles if you spend $40,000 in a calendar year. The annual fee on the both cards is $450. You pay it with your first statement, and again 12 months later if you don’t cancel the card. Both cards are clearly worth paying the annual fee in year 1 because of their sign up bonuses, lounge access, and statement credits. The Citi Prestige® Card is worth holding indefinitely if you get any value out of the lounge access, free hotel nights, or free rounds of golf since the $250 Air Travel Credit offsets more than half its annual fee. The Citi® / AAdvantage® Executive World Elite™ MasterCard® is only worth holding if you really love that American Airlines lounge membership. Citi recently relaunched the Prestige with a new offer that isn’t quite as good the previous one. Despite those changes, I still think the Prestige is the winner when directly compared to the Executive if you’re not a status chasing American Airlines flier. The Prestige is outright better in all other categories except American Airlines lounge access and the ability to earn American Airlines status miles. Depending on whether or not you’re a big spender, the sign-up bonus could be more valuable with the Executive. But I don’t spend a ton, so to me the sign-up bonuses from each card are about equal in value. For folks who want more lounge access, big category bonuses on spending, statement credits, free hotel nights, and good rates on using points to pay for airline tickets, the Citi Prestige® Card is better. For folks who want American Airlines lounge access and want American Airlines miles, the Citi® / AAdvantage® Executive World Elite™ MasterCard® is better. NO NO NO NO NO. As stated in this article, you get free Priority Pass lounge access plus free lounge access for your guests. You had a JUNK version of membership. There are many, and the Priority Pass Select membership from the Prestige is top notch. 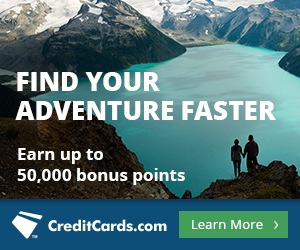 Does anyone know if you have to use an AA card (Aviator, Citi AAdvantage, etc.) to get the free bags? I just flew Alaska on Thursday and my bag was free since I have the card, but I did not use it to buy the ticket. With USAir I had to use the card to get the bag free. I want to book a ticket on AA today but would rather use my Prestige. You don’t have to buy with the AA card, you just have to have the AA card account open at least 7 days prior to travel and have your AA number on the reservation. Does Prestige redemption on American Airlines for 1.6c include flights on other carriers that are ticket by AA? Just tickets marketed by AA, which includes flights operated by a ton of airlines. Full post in about 12 hours. Great question! Related to Sammy’s question, does it matter where you obtain your thank you points. For instance is there a difference between points earned with Premier and points earned with Prestige? How do they know?